I have been fortunate enough to spend the last month in the absolutely wonderful city Berlin, Germany. This may sound odd but most people think of study abroad places such as Italy, Spain, England or some country like one of these. You very rarely here of studying abroad in Germany (at least I didn’t know anyone else who has done it). Honestly it wasn’t even my first choice (Prague didn’t fit my schedule). What I can say though is that I wouldn’t want to go anywhere else. The main focus when most think of Germany is WW2, concentration camps, war memorials, Berlin Wall. While these are huge aspects of the trip (I was fortunate enough to see all of these), there is so much more to Germany than just this dark part of their history. You rarely hear of the beautiful lake side beer gardens where you can take a row boat out on a beautiful sunny afternoon with your fellow classmates. You rarely hear about the amazing night life that literally never sleeps (bars and clubs don’t close). You don’t know about the hospitable locals that you will meet during their daily lives. I can say that Berlin and Germany as a whole is so much more than what you typically hear about. I can say that I climbed for seven hours to the second highest peak of the Alps in Germany (seven hours of fun). I can say I saw a beautiful countryside covered in sun flowers and small villages. I can say that for a month beer was cheaper than water (pretty amazing beer if I may say). Not only did I get to experience all of these things, but I also got to meet some absolutely amazing people. Hugo the frenchman from Nice, Chonsu and Cem from Turkey, Noel from Sweden to name a few. People from all over the world who knew no one coming into the program. All of us exploring this amazing city for the first time and being introduced to a whole new culture. 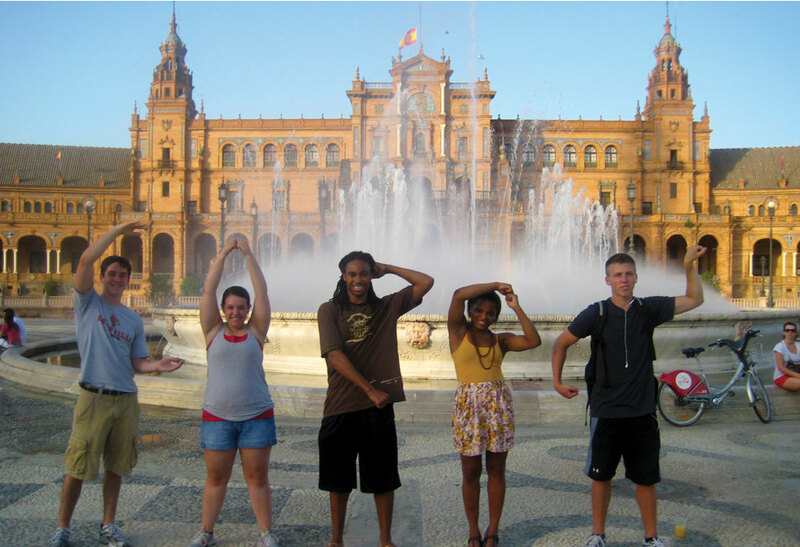 Everyones study abroad experience is amazing. I think that no matter where you go you are bound to have a spectacular time. All I ask is when you are deciding where to make your journey don’t just follow where everyone else is going. Take into consideration going somewhere different. Go somewhere that interest you but don’t be limited by what’s popular. Go explore some place none of your friend have been to and do something unique. Learn something new, be adventurous and be unique. This entry was posted in Uncategorized by cdmolo01. Bookmark the permalink.